While the ripples of the Bauhaus school reached far and wide after its closing in 1933 - to places such as the renowned Black Mountain College in California, Harvard Graduate School of Design, the White City in Tel Aviv and the International Style of Architecture, the Bauhaus school in its original form was in fact a very short-lived entity. Started in 1919 under the directorship of Walter Gropius it was closed in 1933, a mere 14 years later by the newly appointed National Socialist party in Germany. The Bauhaus came out of the energy of Germany post World War I and was influenced in it creation by individuals such as the 19th century William Morris and the absence of distinction between form and function. Beginning life as a means of reuniting creativity and manufacturing, it fashioned itself into a kind of craftsmen’s guild, with echoes of the Renaissance guild system of the 15th century. William Morris in his 50s. A 20th century reinvention, focusing on the importance of functionality over every other consideration, as a primary starting place. Whilst most closely associated with architecture and product design it covered a whole spectrum of applied subjects some better known in their legacy than others - pottery, metalwork, photography, fine art, graphic design to name but a few. Walter Gropius, a trained architect, founded the Bauhaus school in Weimar in response to the industrialisation of the time and became the school’s first director. In the same year, 1919, Marcel Breuer joined as one of the first and one of the youngest students. The Bauhaus held three homes in its lifetime. The first building was in Weimar, followed by a move to Dessau in 1923 with Gropius designing the studio building and dormitories. It was in this same year that Lászlö Moholy-Nagy began teaching. The final moved was to an abandoned telephone factory in Berlin in 1932, under pressure from the Nazi party. Marcel Breuer returned to the Bauhaus in 1925 and designed an early version of the bent metal Club chair (model B3). It was a revolutionary take on a classic club chair which the artist himself described as “my most extreme work… the least artistic, the most logical, the least ‘cozy’ and the most mechanical.” It met all the requirements of the school’s design philosophy - easily mass produced, lightweight and easily moved. 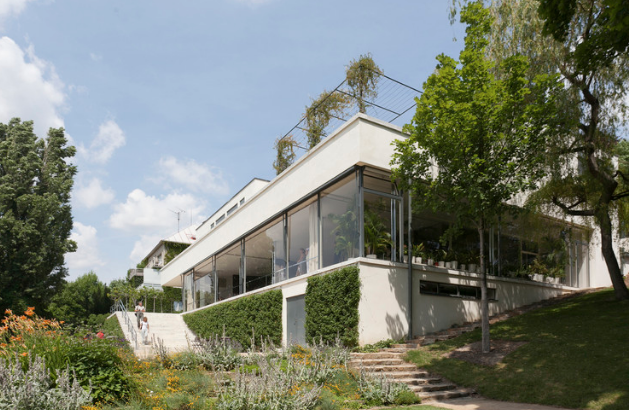 In 1930 van der Rohe took over as the then (though no one would have have known this) last Director of the Bauhaus and in the same year he designed the Villa Tugendhat in the Czech Republic, and with it defined the Functionalist style. On the morning of 11 April 1933, Mies van der Rohe arrived at the Bauhaus to find the building cordoned off by police and surrounded by crowds. “Stop!’ he shouted at the officers. “Not any more” said an officer. The next day Mies went to see Alfred Rosenberg, the conservative minister of culture. “The Bauhaus has a certain idea,” said Mies, “but this idea has nothing to do with politics. Look at your writing table, this shabby writing table. Do you like it? I would throw it out the window. That is what we at the Bauhaus want to do. We want to have good objects so that we do not have to throw them out of the window.” Rosenberg was an architect himself. “Then we will understand each other,” said Mies. “For any cultural effort,” replied Mies, “one needs peace, and I would like to know whether we will have that peace.” The Bauhaus remained shut. His final effort was that of a man who believed deeply in his school and the work that they were doing. Every other day he went to the Gestapo headquarters to attempt to talk to the man in charge. after three months of this, on July 21, with the bauhaus on the brink of bankruptcy he got his audience and was told by the Gestapo that they would allow the re-opening of the Bauhaus if the curriculum was changed to meet “the demands of the new State” and if two of its leftwing teachers, Ludwig Hilberseimer and the painter Vasili Kandinsky were replaced. Mies gathered his colleagues, opened Champagne and closed the school himself. László Moholy-Nagy moves to the Netherlands initially before moving to London in 1935 living in the Isokon Building with Walter Gropius for 10 months. He eventually moved to Chicago to become director of the New Bauhaus in 1937 and later open the School of Design. Walter Gropius managed to escape Germany in 1934 with the help of English architect Maxwell Fry. He went to Italy under the pretext of making a propaganda film and from there, he escaped to London. He then moved to the US, becoming Chairman of the Harvard Graduate School of Design and founded The Architects’ Collaborative in 1946. 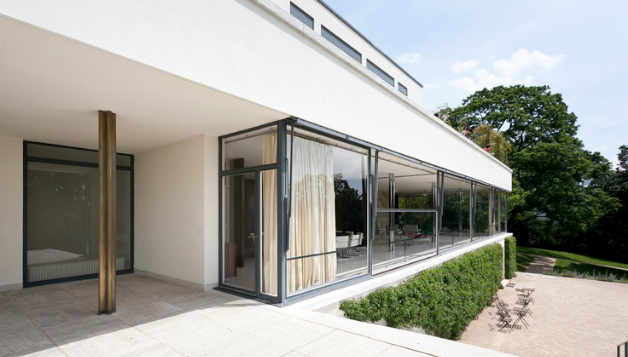 In 1936 Marcel Breuer also moves to London, designing Sea Lane House in West Sussex and starting work with Jack Pritchard on Isokon furniture designs. In 1939 Mies van der Rohe had started designing the IIT Campus in Chicago, though not completed until 1958. He spent the rest of his 31 years here, with his last project seeing him return to Berlin for the Berlin National Gallery, opened in 1968.